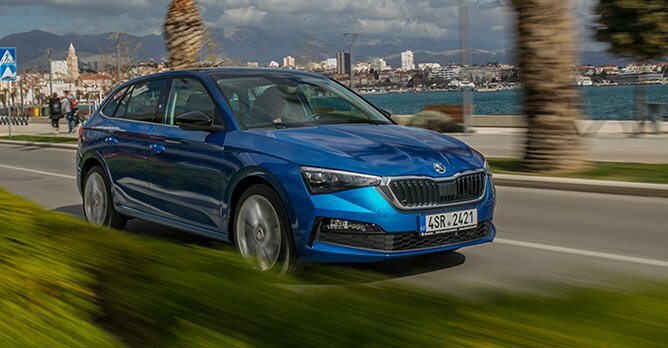 The brand new Skoda Scala is a bold move from the Czech brand - this new hatchback offering slots directly into a highly competitive segment dominated by its 'direct' sibling, the Volkswagen Golf. Sitting underneath the Octavia and replacing the Rapid (at least in Europe) in Skoda's lineup, the brand says that the Scala is an important model that points the way forward from both a design and technology perspective. The Scala isn't simply just a Golf clone. For starters, it is actually built on the Volkswagen Group's MQB-A0 platform, the same platform that underpins other superminis in the Group's portfolio such as the Audi A1, the Seat Ibiza and the Volkswagen Polo. However, mini the Scala certainly isn't. Measuring 4,362mm long, 1,793mm wide and 1,471mm tall, the Scala is a fairly substantially-sized car given its compact car platform. 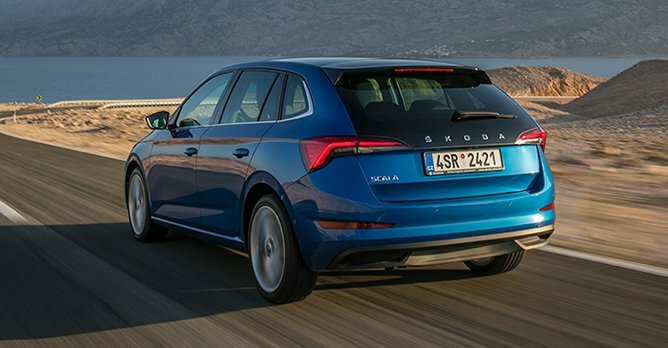 The designers and engineers at Skoda have stretched out the Scala to its maximum proportions, and have used the maximum wheelbase possible at 2,649mm. To put that into perspective, that's actually 12mm longer than the Golf's wheelbase. Visually, the Scala is pretty pleasant on the eyes, and certainly a big improvement on the bland-looking Rapid. The Scala also gets some upmarket equipment on the outside, including full-LED front and rear lights and dynamic rear indicators. Additionally, it's the first model to bear 'SKODA' lettering on its tailgate. Of course, these stretched out proportions means that the Scala also excels in the practicality department. There's ample space in the cabin, with rear knee room matching that of the Octavia. Additionally, the car has a 467-litre boot, the largest in its segment. 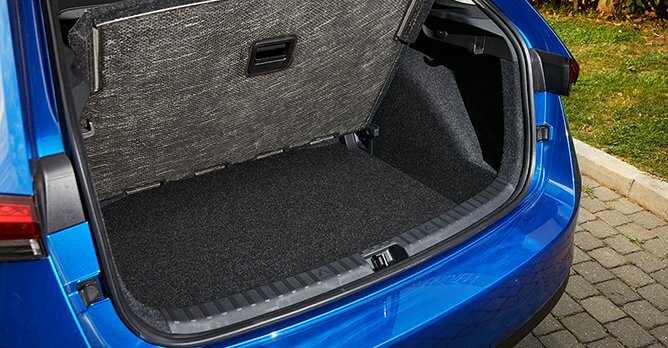 This can be expanded to 1,410 litres with the rear seats folded. The design of the interior also follows surprisingly closely from the Vision RS concept study, consisting of clean and crisp lines and some pleasantly soft materials in places. There's also a fair amount of new and fancy equipment in the cabin. 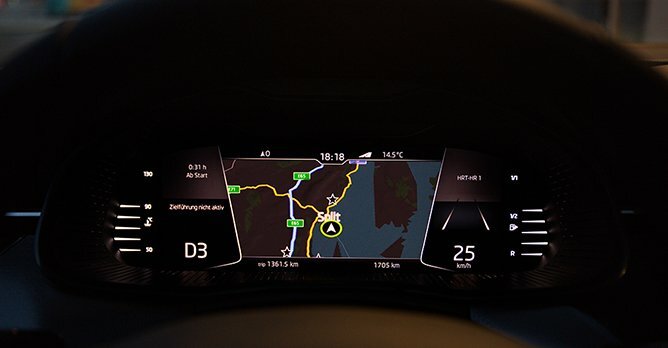 There's the 10.25-inch Virtual Cockpit, a 9.2-inch floating infotainment display, and the abilty to wireless charge your phone. One very useful feature is the Wireless SmartLink+, which allows you to use Apple CarPlay without having to connect with a wire. Perhaps it's also because our test car came equipped only with USB-C sockets. However, you can still tell that the car has been built to a cost. There's a fair amount of hard plastics used, especially in areas below shoulder level, and the overall build quality doesn't quite match up to a Golf. If you are expecting the Scala to be a perky hatchback that's rewarding to drive hard, we're afraid that you will be disappointed. On some of the windy mountain roads around Split, throwing the car hard into a hairpin corner is usually met with some understeer, with the numb and uncommunicative steering not helping the situation. Part of this is also down to the platform and chassis setup. Because of the car's narrow track but long wheelbase, the Scala lacks the nimbleness and alertness you might find in a more compact model such as the Seat Ibiza. On the plus side, the long wheelbase means that the ride is comfortable and stable even at high speeds. Where the Scala is much more at home is cruising along the highway or on open stretches of country road. 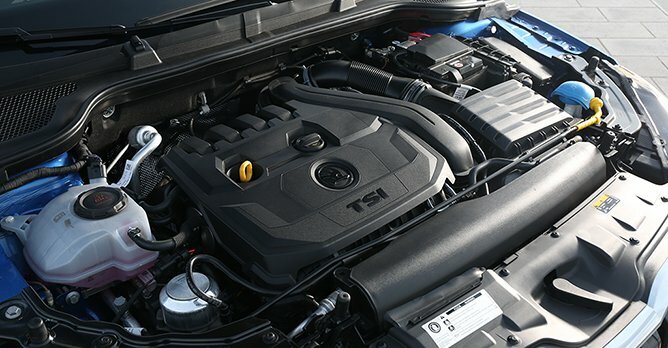 The 1.5-litre engine doles out generous amounts of power even at low revs, making for easy and effortless acceleration. 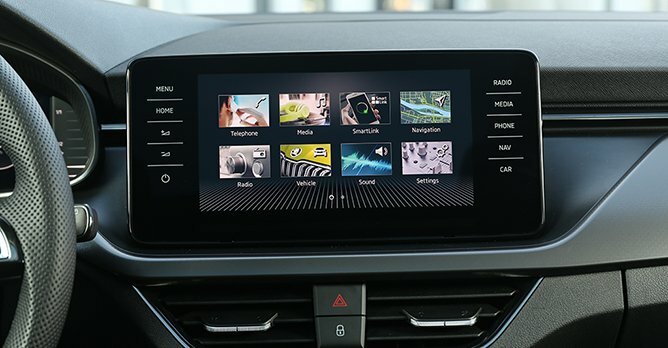 Thanks to the MQB platform application, Skoda has also been able to pack the Scala with numerous safety systems. Lane Assist and Front Assist come as standard, while Side Assist, Adaptive Cruise Control and Park Assist are all optionally available. Ultimately, it's best to view the Scala as an exercise in maximisation. It is Skoda offering its customers maximum practicality, value and equipment whilst operating within specific parameters. 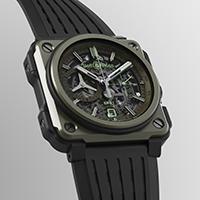 And this isn't a knock on the brand, quite the opposite in fact. The Scala clearly demonstrates Skoda's strength, which is its ability to deliver maximum value within strict economic constraints. It is for this reason that the Scala will likely be popular among car buyers within the compact hatchback segment when it arrives here sometime in the middle of next year.